In 2007, we created the overnight Bulldog Camp experience. 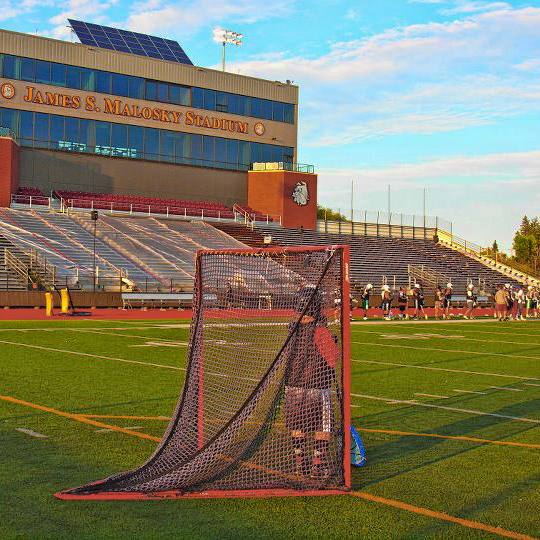 Over the past nine years, we have housed nearly a thousand lacrosse players at the University of Minnesota Duluth. During their stay, they work hand-in-hand with UMD coaches and players to learn the techniques, drills, and attitudes it takes to be a strong and successful lacrosse player. The four days of camp includes three 2-hour sessions of lacrosse instruction and games, three buffett style meals each day, a great college experience on the shores of Lake Superior, and a chance to learn from some of the best coaches and players in the Midwest. 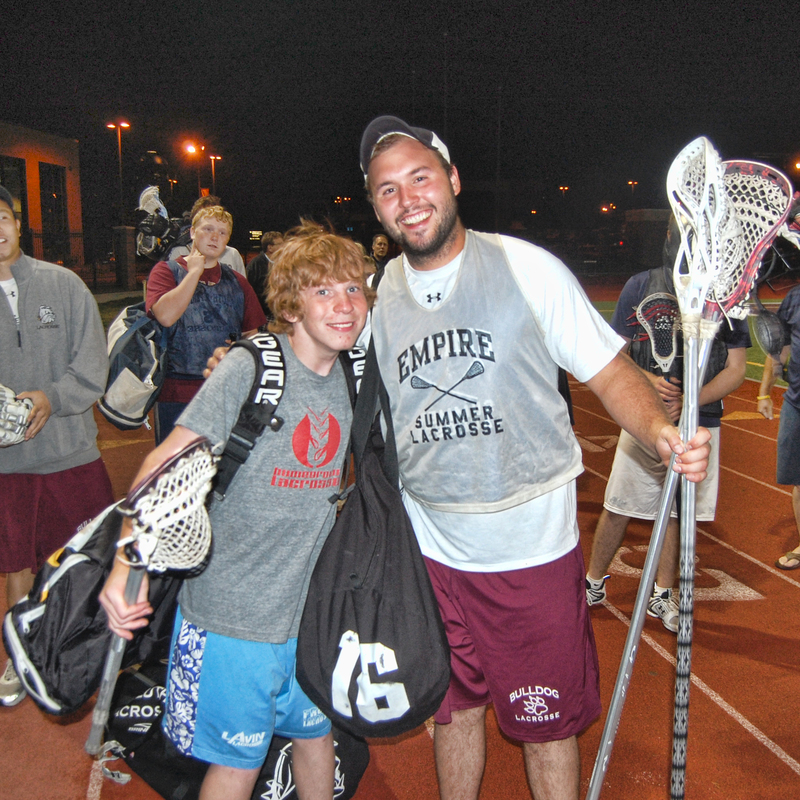 "Players learn the techniques, drills, and attitudes it takes to be a strong and successful lacrosse player." In the 22 years of existence, the Bulldog Lacrosse team has won 15 UMLL championships, competed in 11 national championship tournaments, have had several players compete for the USA West and U19 USA West Teams, and produced many All-American lacrosse players. Not only does the team celebrate their success on the field but is also dedicated to the development of lacrosse in the state of Minnesota. The entire coaching staff currently lives and works in Minnesota. Directed by the University of Minnesota Duluth (UMD) coaching staff and players, our camps includes three specific sessions each day. Individual Positions: Each morning, players will be broken up into position where we will focus on position specific drills. Along with lacrosse specific drills, these sessions will also include drills to increase speed, quickness, and strength. Register your team for camp and get a great opportunity to work closely with them while they compete against top players in the country. Each team will recieve a $1000 coaches stipend for coaching night games and being responsible for your players while staying in the residence halls. Each Head Coach can bring one assistant. Any and all teams with boys enter the 9th-12th grades. There is a $1000 non-refundable deposit for each team to secure a spot for the weekend! The $1,000 deposit will be returned to the teams head coach after check-out for attending, coaching & supervising their team at the Team Camp! Each player will register individually. Each Team is assigned a block of rooms. No female chaperones are allowed to stay in the dorms and all teams must have a male coach in the dorm. Griggs Field, UMD residence halls, Campus Dining Center, etc. Campers have full access to any campus facilitis that are open during the camp. Parents/Guardians will want to meet departing campers at their respective dorm. Overnight Camper: $450 includes all meals and campus dorm accommodations. Graduating high school seniors are welcome. Day Camper: $285 includes lunch and dinner Thursday-Saturday.